Home > Health > Mental Health > What Are The Best Autism Apps? Sadly, the number of children diagnosed with Autism has been increasing steadily in recent years. However, as the nation also increases its dependency on technology, it can prove to be beneficial for these children with a number of apps that cater to special needs. 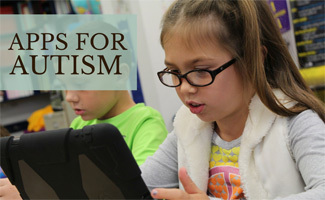 Below we will take a look at what autism is, some of the most highly recommended apps for children with autism and how they can help them learn and grow. In this article, we cover applications to assist with communication, scheduling, behavioral, social and life skills. Why Are There More Autism Apps Available Than Apps in Other Categories? Communication is one of the biggest challenges for children with autism. These autism communication apps are designed to provide visual cues to make communication easier. Proloquo2Go is not an affordable app, but it is one that comes highly recommended by parents of special needs children. The high price tag that this app carries is enough to turn most parents away immediately but in comparison to the cost of assistive communications therapy it is worth the investment. To date this application has nearly three hundred ratings from parents of special needs children and has a four and a half out of five-star rating. Proloquo2Go is highly recommended for children that experience difficulty with speech, it provides symbols and an extensive vocabulary with text to speech capabilities. 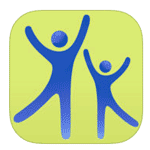 This app is easy to set up for parents and easy to navigate for those using the application. Automatic conjugations and the ability to expand the apps vocabulary is one of the hottest features of this app. The only recommendation that parents have for this app is that it is much easier to use on the iPad which provides a larger interface to view symbols. iComm does not come as highly recommended as Proloquo2Go; however, it offers parents with a lower budget capability a functional augmentative and alternative communication (AAC) option. iComm allows for users to load their own picture and audio information while also recording their own voice to add a level of familiarity to the app. When it comes to AAC apps this is certainly not the most advanced but it does provide an affordable communication method. iComm works on the iPad and the iPhone but it does not work for the iPod Touch at this time. The Conversation Coach application is designed to provide a more unique communication tool for special needs individuals. Unlike other apps that provide one way communication, the Conversation Coach app is designed to allow for a back and forth conversation. This application requires two users who can utilize the app as a means for conversation. The app begins as one player chooses something to say using the app; the second player is then given options as to how they want to respond. There is also a single player mode of this application available that lets single players go up against the computer. This app includes one hundred and fifty built in conversations in addition to built in audio and 1,400 photographs to increase visual appeal. Parents also have the option to create their own conversations to continue to build upon the app, these conversations can be customized with personal images and sounds in addition to those already built in to the application. iCommunicate for the iPad is the second highest rated AAC application at this time with a four and a half star rating. This rating is however, only based upon twenty two users’ feedback. iCommunicate comes with a slightly hefty price tag, but in comparison to Proloquo2Go it is certainly more manageable. This special needs application is recommended not only for children with autism but also for children with other special needs that require visual stimulation. iCommunicate allows users to create flashcards, pictures and storyboards for visual stimulation. In addition to these features, this app also allows for the creation of routines, visual schedules and custom audio prompts. The iCommunicate database has ten thousand symblstix pictures preloaded in to it, but users can also add their own by utilizing Google Images. While the features of this app are not as wide-reaching as those of Proloquo2Go, they are extensive and customizable. iCommunicate currently only functions on the iPad. Autism Language Learning is an application designed specifically to develop both understanding and use of the English language. Uniquely, the ALL application was designed with children with autism spectrum disorders in mind and focuses on teaching communication rather than simply serving as a communication tool. Designed by speech and language pathologists this application has a number of beneficial features including: teaching actions by targeting thirty five verbs, utilizing videos rather than still pictures to teach actions, a rhythmic voice output to capture a child’s attention, an opportunity to mute the voice, the option to record and playback personalized prompts and limited background noise to reduce echolalia. Autism Language Learning is one of the more highly recommended communication tools for language development as well as for its fun factor. This app falls in the median price range of $39.99. It is rumored that a second series of this application is currently in development. My Talk Tools Mobile is an application designed for anyone with communication difficulties to be able to more clearly communicate with others. My Talk Tools Mobile is available for the iPad, iPhone and the iPod touch. This is an expensive application compared to simpler apps, but the customization of this app makes it worth it for those with special needs. This AAC app allows users to communicate using pictures, symbols, images and audio files. Unlike many other augmentative, alternative communications apps, the customization of this app allows users to communicate in the way that they decide to in a human rather than a computer based voice. In comparison to other similar applications, the price point and the wide variety of features My Talk Tools Mobile offers makes it a popular choice for parents of children with autism. All About Me is a communication app designed to help children both learn and share their personal information with others. This is a more affordable application however, it does have much fewer functions than other AAC applications already mentioned. The All About Me app is a good option for those looking to teach special needs children basic information including: name, telephone number, home address, family members names, school information, friends names, favorite things and favorite places. This app makes teaching basic information easy with visual icons that are easy to recognize and simple to navigate. Icons within All About Me can be customized to make them even easier to use by attaching audio prompts, personal photographs or written text to them. Some of the best apps for autistic children provide a schedule and an outline for behavioral expectations. These scheduling and behavioral apps are designed to provide structure to the lives of those with autism. One of the biggest benefits of this application is that it offers more visual prompting than many other apps. Available for the iPad, iPhone and iPod Touch, iPrompts allows users to provide visual, cues by creating schedules based upon icons rather than text. This app also allows for a visual countdown timer that gives users a visual aid to see how much time they have remaining to complete a specific task. In addition, iPrompts allows users to choose items from a glossary to indicate their needs with the choice prompts feature. Autism Tracker is a behavioral app that is designed to allow caregivers to track symptoms, behaviors and interventions in a journal like format. While it is designed more for caretakers than for individuals with autism it provides functional behavior tracking. Simple checkboxes let user’s record daily activities such as diet, therapy and medicine and sliders allow for tracking of behavior and symptoms. Using daily log screens, caregivers can track or graph progress of students, children or patients with special needs with a particular degree of accuracy. iReward is an affordable application that focuses on behavioral rewards. This simple to use app allows for users to enter a behavior that should be repeated, the number of times that behavior needs to be repeated and the reward that will be received at that point. The purpose of this app is to provide motivation to children who show improvement in behavior when offered tangible rewards. Skill Tracker Pro is a behavioral ABA therapy tool (Applied Behavioral Analytics). Available for the iPad, iTouch and iPhone and is quite unique both in affordability and the features it offers. This behavioral app allows for unlimited clients and observers and additionally it allows for the exportation of data to allow for it to be charted for behavioral tracking purposes. Skill Tracker Pro comes with a database of numerous skills and targets that can be put in to a client’s curriculum. In comparison to other behavioral tracking apps, Skill Tracker Pro is geared more towards professionals working with special needs individuals. Social skills and life skills are both an important aspect of everyday functioning but they are also very challenging aspects for children with autism. These social skills and life skills apps are designed to provide assistance in every day functioning to individuals with autism. QuickCues is an iPad application designed specifically for teens with autism spectrum disorders to help them cope with new or unusual situations. This app provides social scripts designed to assist with a number of important functions. A communication module gives users help with conducting conversations both at work and at school, help with talking and listening to others on the telephone, tips on how to read body language and tips on how to find individuals with shared interests. In addition to the communication module, users can also purchase add on modules for life skills, socialization and coping skills. QuickCues is one of the most favored applications for helping young adolescents and adults to integrate in to real world environments. The Model Me Going Places app is a free application aimed at assisting children to learn life skills through visual prompting. This app focuses on “challenging” locations found throughout the community and it utilizes pictures to show children appropriate behavior for each of these locations. Photo slide shows picture other children as they model behavior that is allowed in various unfamiliar locations. Everyday Skills is an application that focuses on instructing individuals with autism how to complete everyday life skills. It’s price tag often enough to drive caregivers away, but this app does come highly rated. One of the biggest features of the Everyday Skills app is that it focuses on self-directed learning where individuals can tackle forty different life skills necessary for independent living. Self directed learning is a significant feature in that it allows the developmentally delayed to take learning at their own pace. People often ask why there are more communications apps available for special needs children than other types of apps. There are a couple of reasons for this. Primarily, the iPad is used as a tool for communication both within schools and within special needs families. Having a number of communication applications available gives users the option to choose an app that works for their individual needs and levels of functioning. Secondarily, one of the most significant obstacles for individuals with autism is communication so one of the biggest concerns for those caring for autistic individuals, is making communication easier. This article from The Hanen Centre goes into deeper explanation of why communication skill building is essential for all kids, but especially those on the spectrum. Watch the Proloquo2Go iPad App in action and see how it can help give autistic children a voice in this short video from the AP. Do you have experience using apps to help with autism? I teach in a school that has students with autism and our school is very tech savvy too so will definitely check out some of these apps! Some of them are quite pricey though, so interested to see if anyone has used any of these before I purchase one. Sometimes it can be hard to tell from the iTunes review and would love to hear any first hand experiences.